For years I’ve spent most of my days desperately avoiding the big glowing ball of fire in the day, bottling up my frustration at its burning, sweat-generating touch. Next week’s Smite update brings the sun down from the sky, and I’ll be waiting. Fans of the Norse pantheon get thrown a fiery bone next week with the release of Sol for the PC version of Hi-Rez Studios’ god-based action MOBA. The daughter of Mundilfari, Sol and her brother Mani were the apple of their father’s eye, and he boasted about their perfection to anyone that would hear him. Unfortunately one of those anyones was Odin, who decided to punish Mundi for his hubris. Nothing tears apart a family like hubris. Sol and Mani were forced to ride chariots across the sky for all eternity, pursued by wolves because Odin had a thing for wolves. Sol still drives he chariot across the sky by day, her brother by night, but with the war of the gods in full swing she’s managed to exercise a small freedom, projecting her essence into the battle raging below. 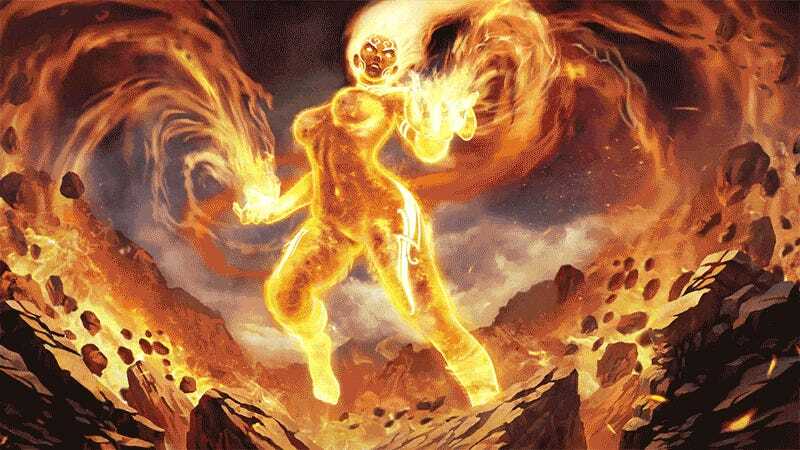 In her Smite incarnation, Sol is all about setting people on fire. She burns fire trails, explodes and calls down massive balls of flame, because she can. Seeing as my current favorite character is Khepri, the Egyptian beetle said to push the sun across the sky, she and I are going to have words. Unless she’s in her alternate skin, because I cannot hurt pink hair, even if it is on fire. Check out the full Solar Flare patch notes for more on what’s coming with next week’s update, including a new tutorial experience with a stronger narrative bend and tweaking AI god behavior. And check out Sol’s full reveal page here. Don’t forget the sunscreen.